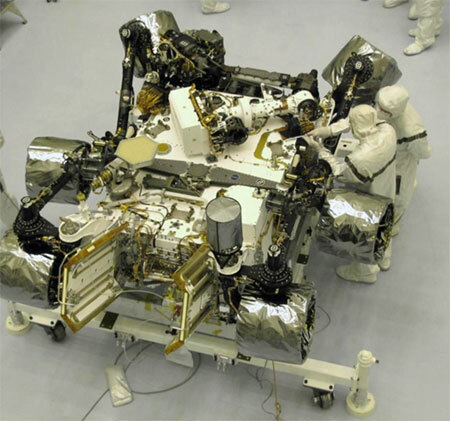 Curiosity Mars rover arms were built by Litespeed (NASA photo). Remember Litespeed? They started building titanium bikes about a million years ago. They also made the robotic arm of the Curiosity Mars rover, which made a successful landing on the red planet last night. ABC News showed workers in the Tennessee factory during their prime time news segment Monday night. Out of this world. This entry was posted on August 6, 2012 at 8:52 pm and is filed under News. You can follow any responses to this entry through the RSS 2.0 feed. You can leave a response, or trackback from your own site.